Options listed below are available on most rollers and stitchers. Minimum order quantities may apply to items ordered with options. 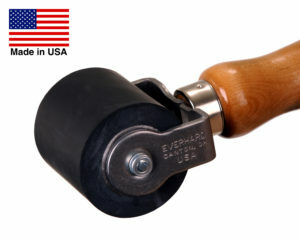 Rubber rollers come standard with 5″ wood handle and straight single or double forks. Note that durometer (hardness) is associated with each roller. Durometers are ±5.